The role of the Communication Unit (CU) is to support the development and implementation of the Institute’s communication strategy in aid of realising the Institute’s Strategic Plan in strengthening leadership for sustainable development in Africa. The CU therefore plays a supporting function to the key departments of the Institution, namely; CEO’s Office, Research and Policy Department, and Executive Education Department in achieving this goal. The Communications Intern for UONGOZI Institute (UI) will therefore assist the Institute’s communications team in the day-to-day operations of a communications unit. He/She will work closely with the Institute’s Communications Officer and report directly to Communications Manager. Assist in frequently updating the Institute’s website. Assist in maintaining an online presence on the Institute’s social media accounts: Twitter, Facebook, LinkedIn and YouTube. Assist in updating the mailing list. Assist in drafting press releases, media briefs and other communications materials for external stakeholders. Assist in maintaining internal communications. Assist in proofreading, fact-checking and editing communication materials. Assist in processing requisitions for goods/services provided by different vendors. Assist in transcribing and translating audio and/or video files for communication materials. Assist in planning and organising national and regional events (meetings, forums and workshops). Assist in taking newsworthy photos at events and functions. Assist in branding at different UONGOZI events. Assist in performing print, broadcast and online media monitoring. Assist in identifying, planning, and implementing new communication strategies, platforms and tactics. Assist in the compilation of stories for the Institute’s newsletter(s). Any other relevant duties as directed by the supervisor. 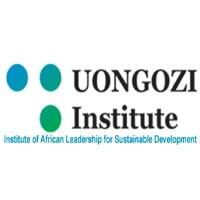 Up-to-date email database of UONGOZI Institute stakeholders. Bank of transcribed and translated audio and/or video for communication materials. Must hold a bachelor’s degree in Mass Communications, Journalism, Public Relations, Marketing or any other related discipline. Ability to operate a semi-professional camera. Volunteering experience is preferred, although not required. The Intern will be provided with a three-month contract. Some assignments will require travel. Interested candidates should submit their applications via recruitment@uongozi.or.tz with the following subject line “Communications Intern”. The application should include a Curriculum Vitae (CV) with contact details of three referees and a motivation letter, submitted by December 30th, 2018.